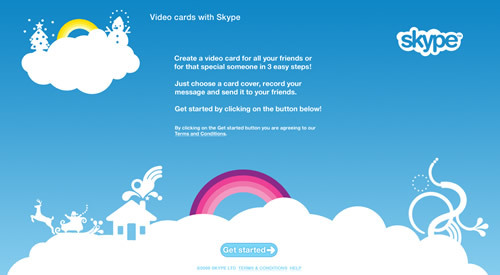 Skype Video Cards was a microsite and facebook application which allowed users to record personal video and send to friends and family. 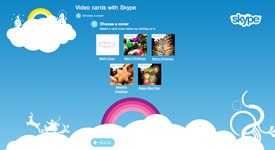 It was originally launched to send Christmas Video Cards in December 2008. It was later relaunched in February 2009 as a Valentine’s Day Video Card application. The site was taken offline later in 2009 after the campaign was complete. During the Valentine’s campaign, over 54,000 cards were recorded, of which over 34,000 were sent. For the Christmas campaign, over 24,500 videos were recorded, which were sent to over 35,500 recipients.